If you're looking to personalize your vehicle by means of aftermarket wheels, our comprehensive selection of Big Bang Wheels will help you to enhance the appearance of any vehicle at an affordable price and add a stylish flair to it. Big Bang Wheels will ideally complement your Honda Accord and spice up the looks of your ride. 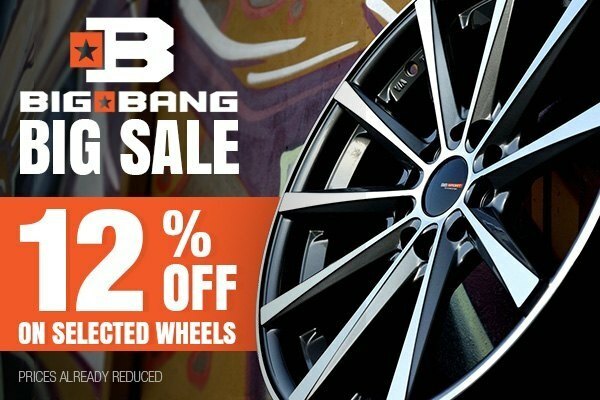 Buy a set of 4 Big Bang Wheels at CARiD and get up to 12% OFF the original price. Order your set of Big Bang Wheels & Rims at CARiD.com today! Shop today, as all prices are already reduced! Make your car stand out with a set of Big Bang Wheels from CARiD! Insurance - Discounts For Specific Features? Price for a 2007 EXL V6 $22,915 factory discounts? Best bang for the buck sway bars? Goodyear Tires on Sale - Get up to $160 back with the full set purchase!